The collaboration between Elkhart Public Library and Elkhart Community Schools has benefitted students in ways that foster a love of reading and learning. One recent, behind-the-scenes collaboration was just as important in this work as a headline grabber. It’s helping keep reading materials on school shelves for students. 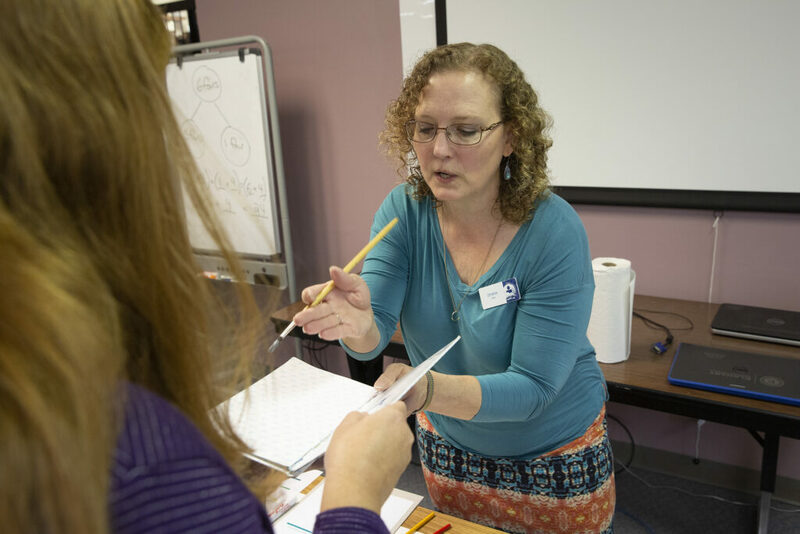 Christina Dougherty, a member of EPL’s Technical Services staff, took her book repair skills and materials to a training session for school librarians and media specialists. The lesson taught will help schools stretch their budgets. Dougherty used binding tape, book glue and other items to show ECS employees, who received their own mending kits from the school system, how to get damaged books back onto the shelves. “If they save money on repairs, then they can spend that money on new items instead of replacing existing ones,” she says. Technical Services has a wide variety of duties for the library along with book repair, Dougherty says. The department oversees book ordering and processing, which gets the materials into the online catalog for viewing and checkout.